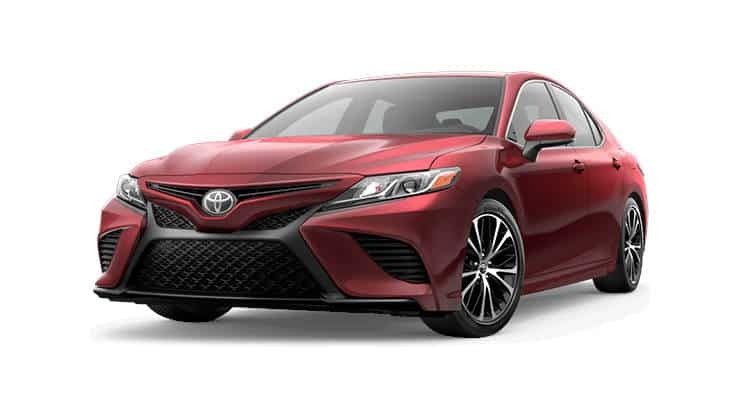 Learn how to reset the tire pressure warning system on your Toyota Camry with these steps. Note: If you are experiencing problems where the tire pressure warning light is lit when it shouldn’t be, be sure to check the pressure in all 5 tires. That includes the spare! With the vehicle parked, switch the ignition to “LOCK” or “OFF” for vehicles with a smartkey. Adjust the tire pressure as desired. Preferably you will want to adjust it to the recommended pressure for cold temperatures. Switch the ignition to “ON“. Using the controls on the steering wheel, select the gear icon on the electronic display. Choose “Vehicle Settings” or the icon with a car and gear in the corner. Press and hold the “OK” button. Select “TPWS” > “Set Pressure“. Press and hold the “OK” button. The tire pressure warning light will flash 3 times. Drive straight at approximately 25mph or more for about 10 to 30 minutes. Locate the tire pressure reset switch located below and to the right of the steering wheel (on instrument panel, knee bolster or inside glove box). Press and hold the switch until the tire pressure light flashes 3 times. Models of the Toyota Camry that are year 2013 and 2014 and earlier do not have a reset button for the Tire Pressure Warning System. The system works automatically. Inflate the tires to the recommended pressure, then drive the vehicle straight at approximately 25mph or more for about 10 to 30 minutes.